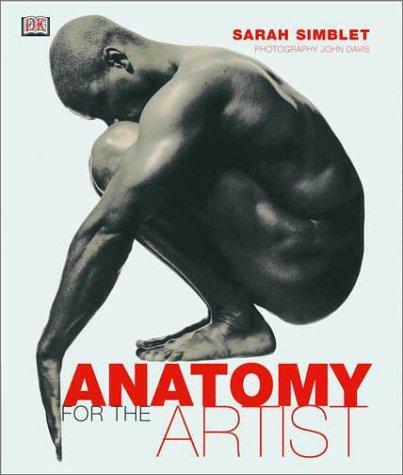 Anatomy for the Artist is an excellent visual reference, full of both black and white and color poses of male and female models. The book is divided into the usual sections: Bones & Muscles, The Torso, The Hip and Thigh, etc Photos are accompanied by diagrams and sketches to illustrate the structures being highlighted. Perhaps the most interesting feature of the book are mylar overlays, where a photograph of a model has a corresponding overlay of the skeletal structure. Another interesting aspect is that often the male and female models are pictured side by side in the same pose.The last section of the book includes re-enactments of several famous paintings, where the model strikes the same pose as the painting's subject. Another section of interesting poses follows, and a section on the figure in motion closes.I found this book best for inspiration; the photographs are superb, and the poses and very interesting and dramatic. It is pricey; there are better, less expensive books out there if you're looking for instruction or poses, but if you don't mind spending a little more, you'll have a beautiful book of inspirational nudes.